spend your summer in the air! 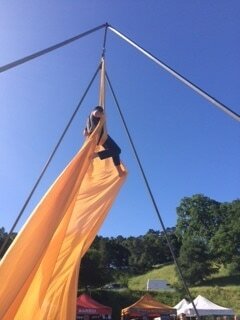 At Aerial Dance Marin, we aim to inspire students through play, imagination, and creative physical expression. In our summer camp, students will have a balance of creative time and structured learning time, giving them a chance to exercise their imagination and their muscles. 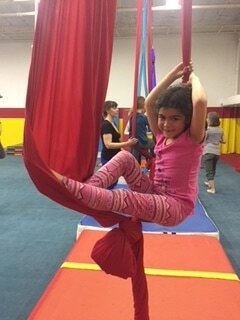 Students will learn the basics on low-hanging trapeze, aerial sling and aerial silk. 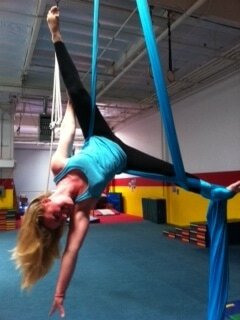 Students will also explore the elements of dance and how dance changes when we take to the air. Students will choose a theme and then work as a team to create a show, getting a chance to practice their leadership, collaboration and decision-making skills. Each camp session runs from 3pm-6pm Monday-Friday.